Tour departure time is at 11.10 am 2 to 3 days per week throughout the week. Attractions are open from 9.00 to 16.00. We are comparing Colosseum Arena Floor Access & Roman Forum Skip The Line Prices from leading ticket suppliers and Try to find you Cheap tickets prices on the market. This is a convenient skip the line combo ticket with assisted entrance to Rome’s Colosseum. Meet your tour representative at the specified meeting point, they’ll take you to the ticket office to exchange your voucher for an entrance ticket before leading you to the direct entrance to the Colosseum’s Arena Floor. Once inside you’ll enjoy spectacular Gladiator-eye views; gaze up to the reserved seat of the Roman Emperor and gaze the stalls which were once filled with cheering spectators. After you can take a look at the rest of the Colosseum and have the option of climbing the Palatine Hill to the Roman Forum. The best part is that there are no specific time restrictions, you’ll be able to stay inside the attractions until closing time. Perfect for people who are interested in visiting ancient sites and learning about Roman times. The best option for visitors with limited time in the city, you will get to skip the line at all 3 attractions. A fun way to see the stadium from the point of view of a Gladiator in the area. These tickets are suitable for solo travellers, couples or small groups. The attraction is appropriate for visitors of all ages however people with walking difficulties may find Colosseum difficult to navigate. Your Experience With Colosseum Arena Floor Access & Roman Forum Skip The Line? Get priority entrance Rome’s Colosseum via its secret back door. Explore the magnificent Roman stadium at your own leisure and continue to visit the Palatine Hill and Roman Forum in your own time. Marvel at the fine craftsmanship found within the ancient ruins and take your time to explore the remaining stadium stalls. Stand in the shoes of Gladiators who fought and died inside on the Colosseums famous arena floor. Benefit from assisted entry with a group of up to 25 people. What Colosseum Arena Floor Access & Roman Forum Skip The Line Includes? Fast track entrance to Rome’s Colosseum (including the access to the Gladiators’ Arena). All attractions must be visited in the same day therefore we recommend getting to the attractions for opening time so that you have time to explore all 3 attractions fully. Travelers Reviews about Colosseum Arena Floor Access & Roman Forum Skip The Line? 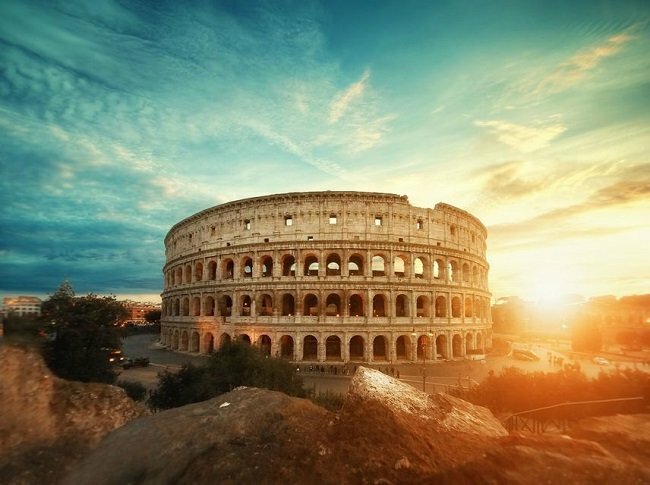 Travellers have given this Rome colosseum Combo ticket 5 out of 5-stars. People who have purchased these tickets have said that they are excellent value and a massive advantage being able to skip the line. Travellers have also said that the tickets are very quick and easy to use. The skip the line tour with arena access has a 4.1-star rating on Get Your Guide and a 4.5-star rating from over 1,000 reviews on Tiqets. This combo ticket was recently added to Viator and has not been reviewed yet. People who purchased their tickets through Tiqets have recommended the help and service of their Tiqets representative. The site is not wheelchair accessible and will be difficult for people with mobility problems. Confirmation will be sent via email within 24 hours of making your booking. Electronic or mobile vouchers will be accepted. Tickets may not be refundable, this depends on the cancellation policy if your ticket provider. Get Your Guide and Viator will generally issue full refunds up to specified number of days in advance. We recommend wearing comfortable (flat) shoes as the ground is uneven in parts of the Colosseum. You should check the weather and dress appropriately, sunhats are recommended during the summer season as not all of this site is in the shade. You must exchange your voucher for entrance tickets before going to the entrance (full details will be provided in your booking confirmation. You must go through airport-style security checks at the entrance, to minimise delays do not bring any large bags or sharp items. Ticket Collection: detains will be in your booking confirmation. Attraction: Rome Colosseum: Piazza del Colosseum, 00184, Rome.